WINNING! Jeep Announces $4.5 BILLION Investment In Southeast Michigan = 6500 New High Paying Jobs! Another great moment for a great Trump economy. 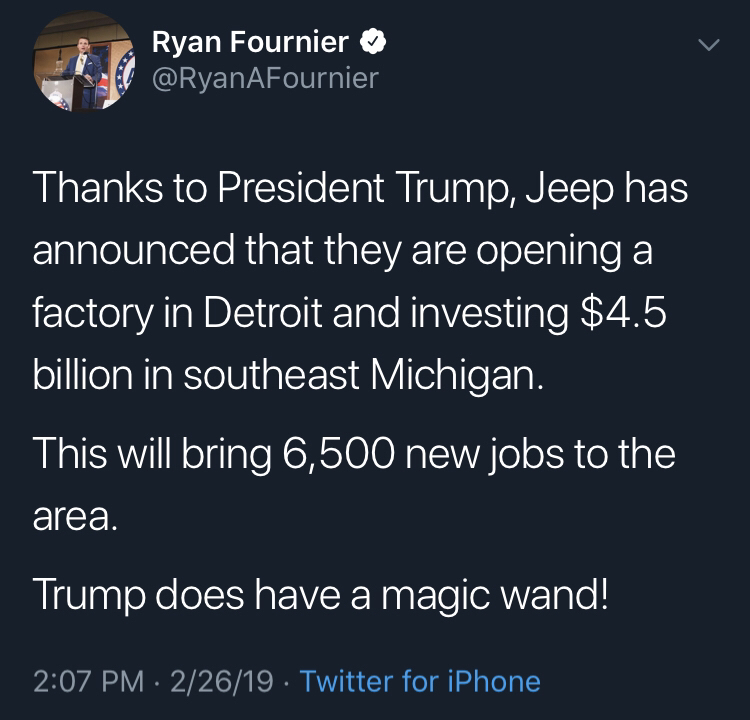 Jeep has announced it is investing big time in its southeast Michigan production facilities, an investment that will contribute to thousands of high-paying new jobs for Working Class Americans.